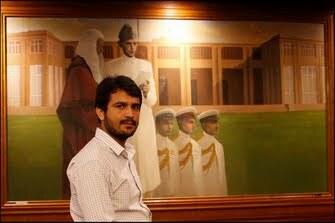 Usman Hanif is a journalist associated with daily Jinnah based in Karachi, Pakistan. He has 4 years experience in journalism. Previously he worked for Daily Jehan Pakistan. He also worked with Pakistan Press International' English service for one and half year reporting on different beats ranging from Health, Education, Crime, Environment and other social issues. This is my Work with my current Organisation "Daily JInnah" an Urdu News Paper.